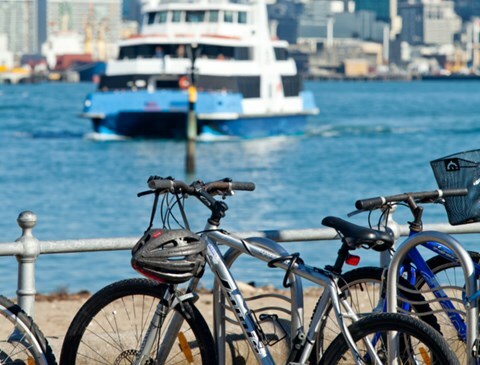 The NZ Transport Agency has developed a proposed route for the SeaPath walking and cycling path on Auckland’s North Shore and will present it at public engagement events this month. The proposed route is being investigated as part of the Detailed Business Case process. It generally runs alongside the Northern Motorway (SH1) between Esmonde Road, Takapuna and Northcote Point and the Auckland Harbour Bridge. During community consultation for SeaPath in 2016, more than 2,600 people provided feedback, with over 95 per cent indicating support for the 3km walking and cycling link. The landward option is proposed for its connectivity, cost and environmental benefits and has been carried forward into a Detailed Business Case which is due for completion by the end of this year. The Detailed Business Case will propose a plan for delivering the project. SeaPath may be delivered in two stages; the first stage from Onewa Road to Esmonde Road and connecting with the existing Northcote Safe Cycle Route in the area. The second stage will connect Onewa Road to the Auckland Harbour Bridge. The Transport Agency has also commenced a Detailed Business Case for the consented SkyPath – a walking and cycling path across the Auckland Harbour Bridge – to be completed in the first half of 2019. Once the Detailed Business Cases are complete, we expect to have greater certainty around the design, construction and opening timeframes for each project, says the Transport Agency’s Director of Regional Relationships, Steve Mutton.